St. Louis Cardinals fans don’t seem to care that their team is coming off a mediocre season. But then, since the NFL Rams skipped town two years ago, the Cardinals are only one of two pro games in town (don’t forget the NHL Blues). That said, a ticket to a Cardinals game in 2018 will cost St. Louisans just a few bucks more than it did last season, according to data from TicketIQ.com. The current average asking price to see the Cardinals play at Busch Stadium is $87, up $4 or nearly 5 percent from last season. The price is the most expensive of the decade, compared with $44 in 2014, which was the lowest. 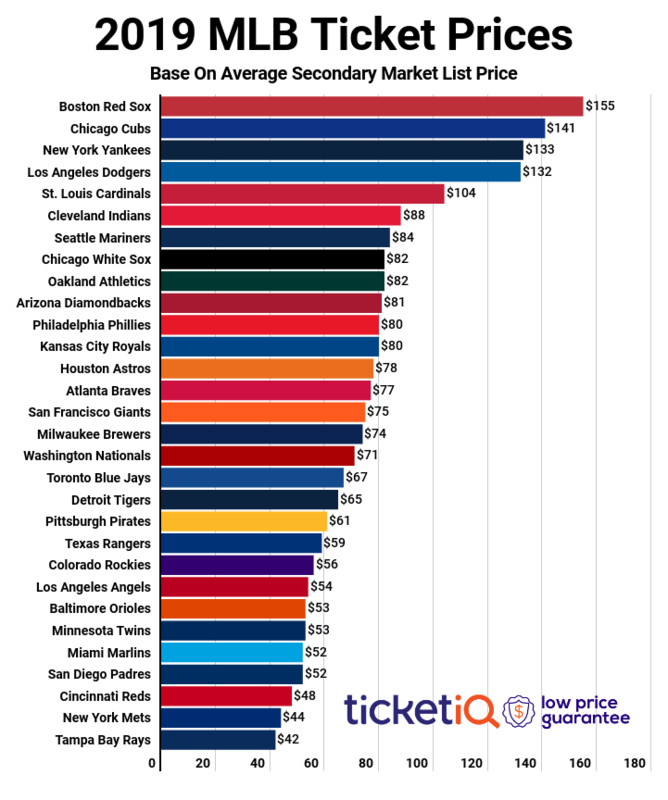 The last three seasons have been the most expensive of the 2010s, with regular-season tickets going for an average of $77 in 2016, $83 in 2017 and $87 this year. Opening Day tells a bit of a different story, with ticket prices down a tiny bit, from $249 in 2017 to $247 this year. 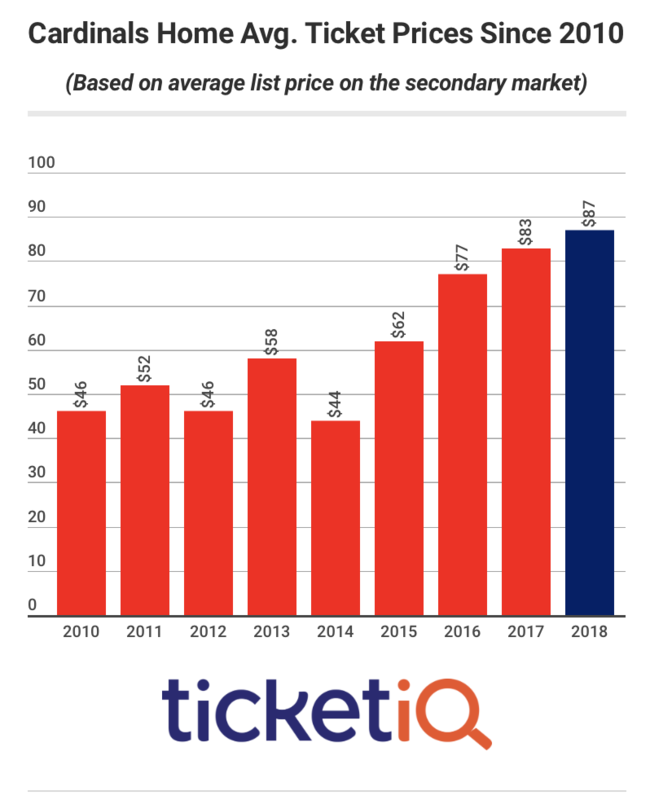 That 2017 ticket was the most expensive since TicketIQ.com began tracking data in 2010. This year’s price is the second priciest of the decade, and $246 in 2012 is the third. All other OD tickets this decade have cost $166 or less, including the cheapest of the decade, $125 in 2010. St. Louis opens the regular season at the New York Mets on March 29 – marking the Cardinals first Opening Day in New York since 1996 – and will open at Busch Stadium on April 5 against the Arizona Diamondbacks. The Cardinals, traditionally one of the more consistent teams in the National League, haven’t made to the postseason since 2015. They lost in the 2013 World Series to the Boston Red Sox, but did win a Championship in 2011, defeating the Texas Rangers in seven games.